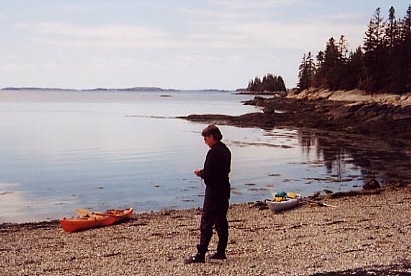 Kayak back into simplicity to the homestead of Helen and Scott Nearing on Cape Rosier in Penobscot Bay. The Good Life Center, known as Forest Farm, is dedicated to extending the Nearings' profound and timeless message about how to construct a positive self-sufficient lifestyle. We will tour the Nearings' organic gardens and their last hand-built stone home, after having a vegetarian lunch on the seashore. Tour 10 a.m. to mid- afternoon. 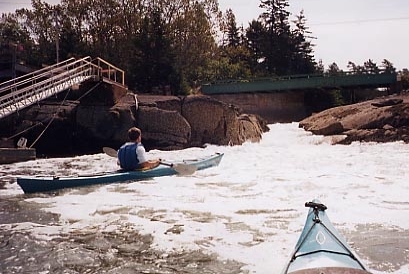 Explore the tidal effect and reversing falls in the estuarian waters of the Bagaduce River. 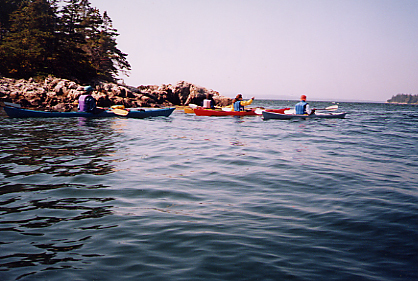 Understand how to maneuver your boat through moving water paddling on the incoming tide up the Bagaduce past islands and seal colonies to the Bagaduce Lunch where you can buy your choice of lunch and ice cream! We'll hop on the conveyer belt of the ebbing tide and ride the current back to Castine. 12 kt miles. Explore the outer shoreline of Cape Rosier, and the myriad of outer islands at the cape’s head. 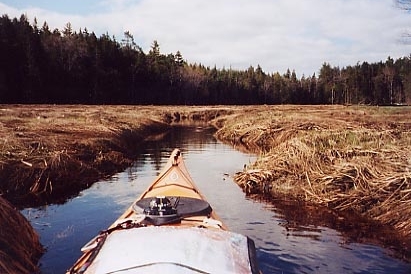 Navigate through Horseshoe Cove, maneuver through a narrow marsh and portage a short distance to connect back into the waters of Castine Bay. 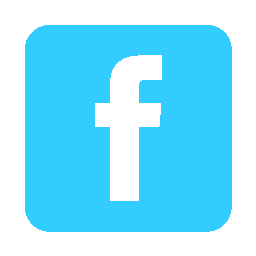 Explore the effect of tides, trip planning and navigation. Spend the day exploring Castine’s dynamic waters visiting the myriad of islands that dot the inner and outer bay and stop and have an island lunch. Take time to hike the amazing trails of Holbrook Island Sanctuary, and visit beaches, while reliving the island's past. Visit the reversing Goose Falls and Smith Mills and the public islands of the Maine Island Trail. If time allows we may even check out a 100 year old shipwreck!